…I had a small wager with a lady called Gill who has a blog called a small garden. The wager was concerning which of us could persuade our Malope Triffida to flower first. Either I’m the champ or Gill is just being nice and hasn’t flaunted her success all over the digital super highway like myself. I can’t quite fathom out how to use these in a bunch yet. 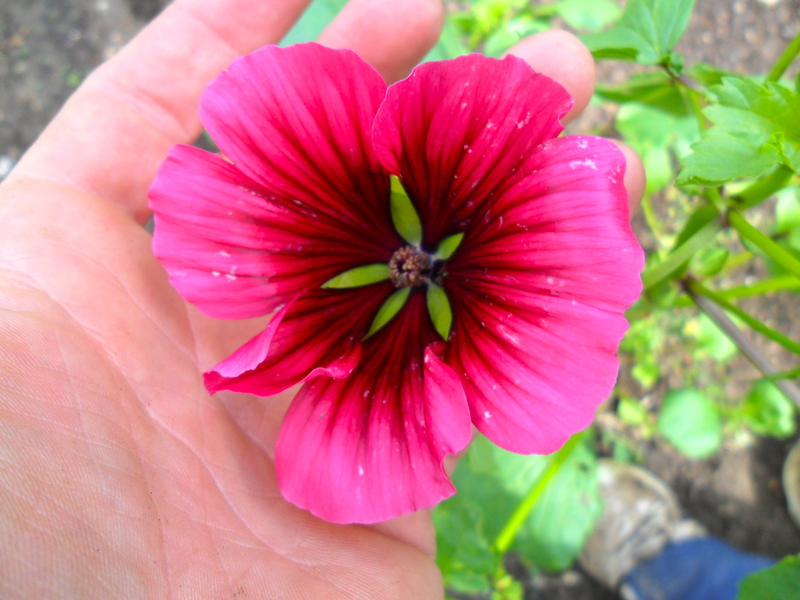 Has anyone used Malope Triffida before….any tips? You win Ben. I have a few buds but no sign of opening yet. Thanks Karen…I’m preparing my acceptance speech as we we speak. Fabulous – mine is not flowering yet, so well done you!